The following is an alphabetical list of all Abbe Museum exhibits. Wherever possible, we have included additional content. Don't see something that you're looking for? Get in touch with us at info@abbemuseum.org. During May 2014, an epic journey took place commemorating the travels of Henry David Thoreau and his Wabanaki Guide, Joe Polis, in the Maine Woods in July of 1857. This exhibit, created by Chris Sockalexis, Penobscot Nation Tribal Historic Preservation Officer, featured photographs Chris and others took during the trip, giving a glimpse into the beauty and wild nature of the Maine Woods and the Penobscot Nation's homeland. 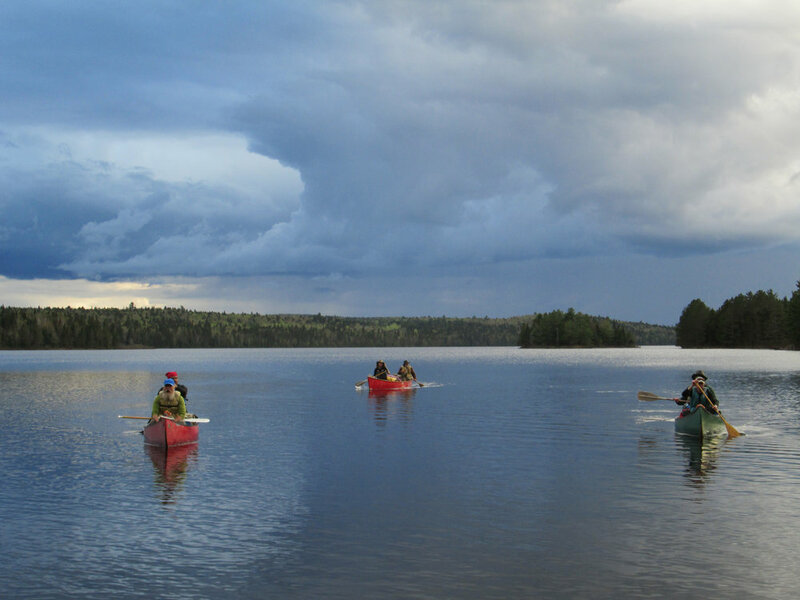 The 150th Anniversary Thoreau-Wabanaki Tour was organized as part of Maine Woods Discovery, a project of the Maine Woods Consortium. 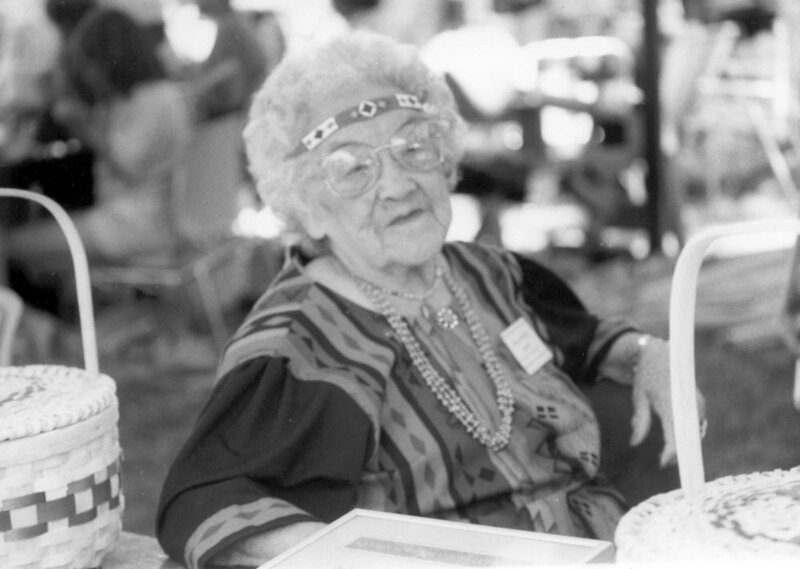 In this exhibit, you met Lucy Nicolar, a Penobscot performer known by her stage name, Princess Watahwaso, but affectionately referred to by everyone as Aunt Lu. 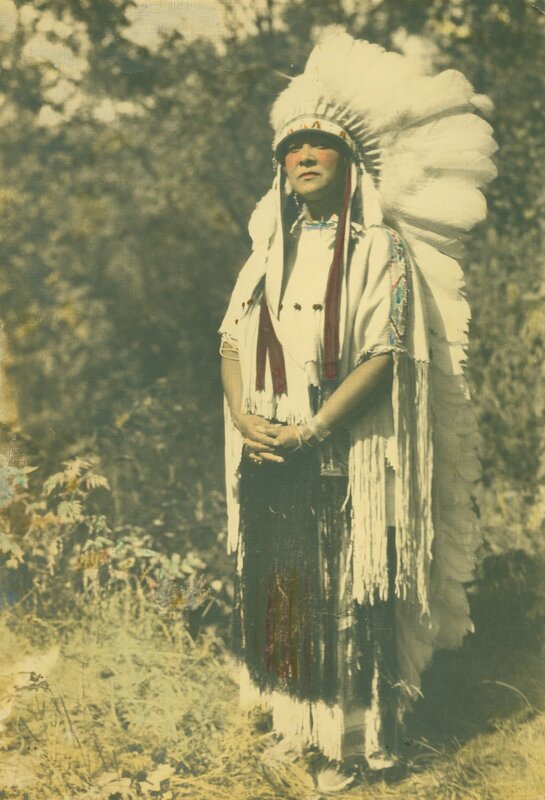 Born in 1882 on Indian Island, Nicolar was a renowned performer and activist. She was also part of an important family in the Penobscot Nation. Her father, Joseph Nicolar, was author of the book, The Life and Traditions of the Red Man, her sister, Florence Nicolar Shay, was a basketmaker and activist, and her nephew Charles Shay was awarded the French Legion of Honor for his heroic service in WWII. 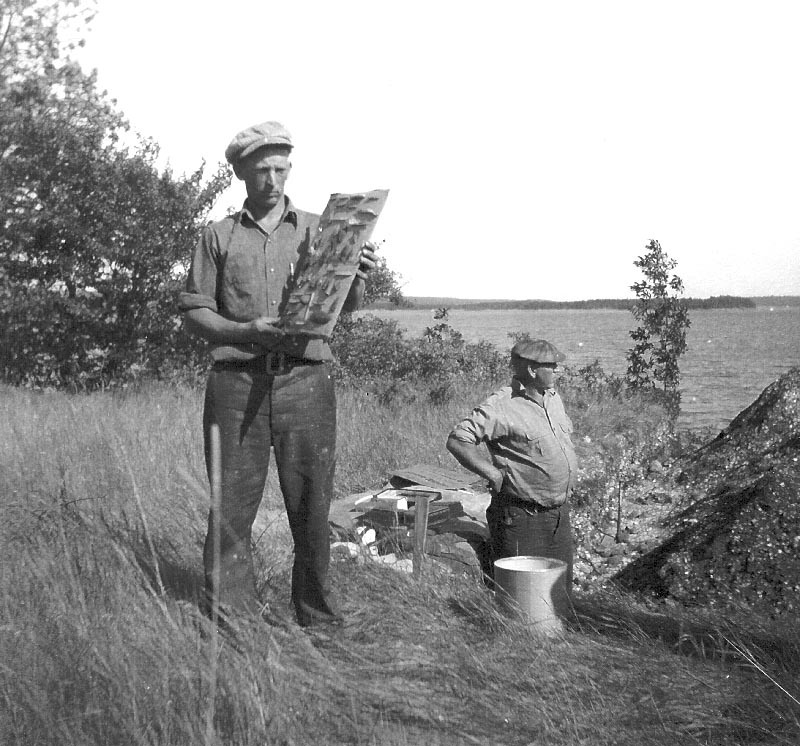 The show was curated by the Penobscot Cultural and Historic Preservation Department and the exhibit traces the legacy of Nicolar and her influence on the Penobscot community. Through the story of Nicolar and her family, visitors also learned more about the 20th century history of the Penobscot Nation. From baskets to beadwork, woodcarvings to birchbark canoes, tools or artwork, objects are an important expression of Wabanaki culture. Since the arrival of the first European explorers more than 400 years ago, objects made and used by the Wabanaki have made their way into museums around the world. Coming Home featured an exciting and beautiful array of material culture, selected and interpreted by Wabanaki community curators. This exhibit shared cultural and traditional knowledge, revealing a greater depth of information about the Wabanaki objects, and provided a unique opportunity to see these pieces back in the Wabanaki homeland. 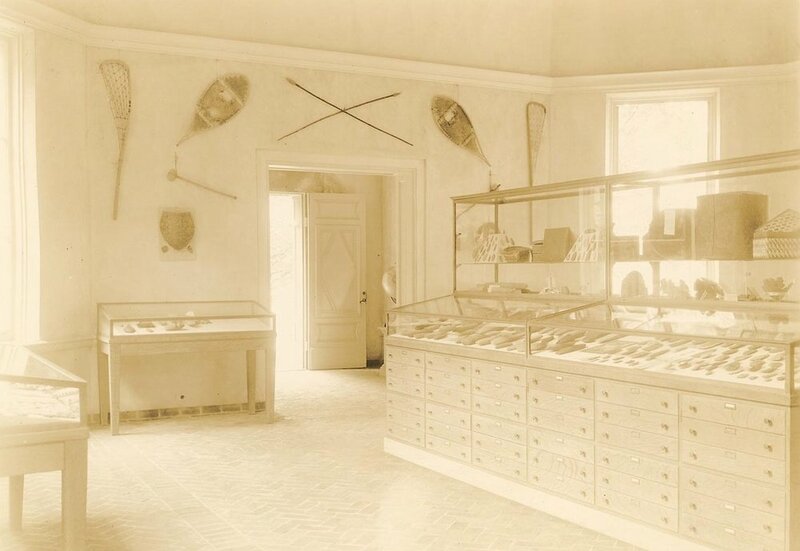 Visit the original Abbe Museum at Sieur de Monts Spring in Acadia National Park, built as a trailside museum in 1928. The exhibits focus on the archaeology of Maine and are reminiscent of the way the museum would have looked when it originally opened. See how bone and stone tools and pottery were made, explore artifacts from the Museum's early collections, and find examples of artifacts from many towns around eastern Maine. An introductory exhibit gives you a brief history of the Abbe Museum and is complemented by a giant map of Mount Desert Island (MDI) and the surrounding area, made by Museum founder Robert Abbe. Four dioramas depict life on MDI before the arrival of Europeans. The Abbe at Sieur de Monts Spring is open daily 10 am to 5 pm from late May through early October. This exhibit celebrated a uniquely Wabanaki art form, a centuries-old craft that has frequently been dismissed by museums and academics as not “traditionally” Wabanaki. 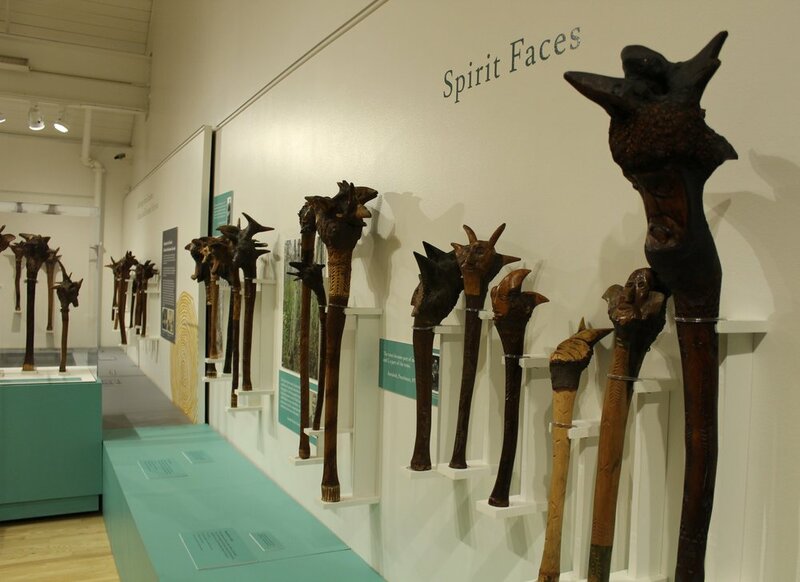 Root clubs have been viewed by museums and anthropologists as “tourist art,” not “traditional” enough to warrant a place in museums. Decades of research by exhibit curators Stan Neptune, Penobscot, and Joan Lester have built the body of evidence to show that this uniquely Wabanaki form, in fact, is very much a part of Wabanaki traditions going back centuries or more. And while new styles have been created over the years to support an economy tied to tourism, the earlier forms have continued and are still being made today. Over 70 clubs were exhibited and loaned from the Penobscot Nation, Hudson Museum, private collectors, and more. Four Directions of Wabanaki Basketry, located in our unique Circle of the Four Directions, offers a place of quiet reflection for visitors. The exhibit features a basket from each of the Wabanaki tribal communities: the eastern basket made by a Maliseet child, the southern baskets made by Passamaquoddy women, the western basket made by a Penobscot man, and the northern basket by a Micmac elder. Visitors will also hear the creation story of Koluskap and the Ash Tree in the Penobscot, Passamaquoddy/Maliseet, and Micmac languages. Click below to listen to the audio. rest of the Nation by establishing a unique relationship with the four federally recognized Wabanaki tribes. The expression of these Acts creates a political arena much different than that of other states—federal statutes do not apply to American Indian communities in Maine unless explicitly noted within that federal legislation. International border issues that has divided families and traditional lands. Headline News seeks to engage the visitor and raise awareness of contemporary challenges to the Native peoples living in Maine. Visitors will have the opportunity to reflect on Native perspectives while exploring these topics through a variety of media. On display was an assortment of new and old artifacts including objects made of ash, birchbark, cedar, porcupine quills, and sweet grass, natural history specimens and faunal remains, hunting and trapping equipment, books and CDs illustrating the four languages, traditional games, maps, photographs, a full-sized birchbark canoe, and much more. 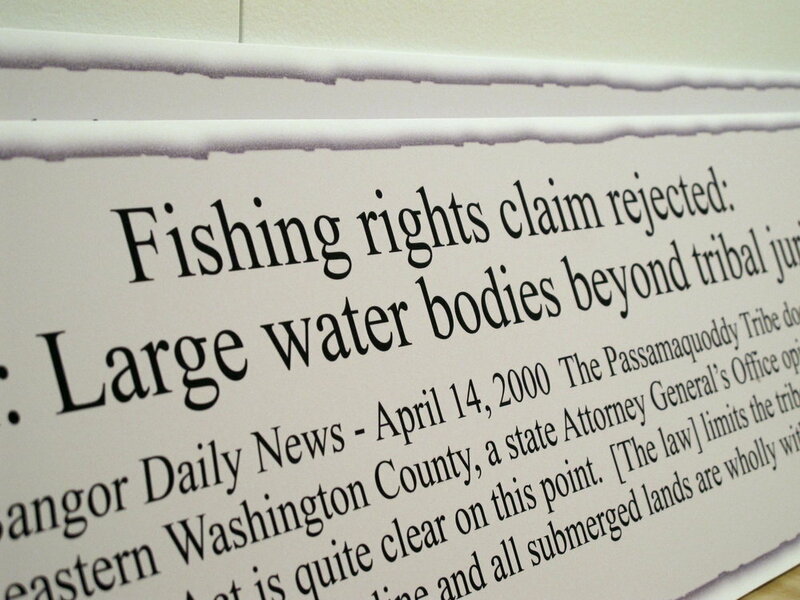 While the information presented was focused on the Wabanaki in Maine, the exhibit offered comparative information on federal Indian policy to highlight differences between the state and federal Indian policies. This ground breaking exhibit was curated by Raney Bench, former Curator of Education at the Abbe Museum, in conjunction with consultation from members of the Micmac, Maliseet, Passamaquoddy, and Penobscot tribes, and assistance from project team members Julia (Clark) Gray and Jason Brown. The Headline News: Wabanaki Sovereignty in the 21st Century online exhibit introduces eight topics commonly covered in the media through first person voice of Wabanaki political and cultural leaders. Each topic is intimately connected to tribal sovereignty in Maine and continually evolving, allowing the exhibit to serve as a starting point for dialog and discussion in Maine communities and beyond. The content reflects the complex nature of these topics and the diverse opinions of Wabanaki people. The entire text of the show can be downloaded below by topic area. Additional information about Headline News: Wabanaki Sovereignty in the 21st Century is also available in the exhibit catalog, Headline News Exhibit Catalog. At the Abbe's 2010 Annual Meeting, Penobscot Chief Kirk E. Francis, Sr., was the guest speaker and is remarks about sovereignty can be found here. This tribute to Mount Katahdin, through Penobscot histories and accounts of non-Native travelers and writers, uses images, music, stories, and the Penobscot language to bring this sacred mountain to life. Francis used a CNC machine to cut the layers to build the model of Katahdin, which translates from Penobscot to English as “Greatest Mountain.” Images moved and flickered across it, a compilation of time lapse photographs taken by Francis at night back in November 2014. Along with these time-lapse photographs, there was a song composed by Francis, various other video and still imagery, and spoken word pieces of Penobscot people sharing stories. Indians and Rusticators: Wabanakis and Summer Visitors on Mount Desert Island 1840s-1920s highlighted the role that Mount Desert Island (MDI) played in the cultural and economic survival of Wabanaki people. Offering a focused look at the seasonal interactions of Wabanaki people and summer rusticators (summer residents from the large urban areas of the Northeast), it profiled various personalities, especially the iconic Penobscot Indian showman Frank “Big Thunder” Loring, whose unforgettable presence on MDI spanned 60 years of the Rusticator Era. The stories told and research presented was the work of guest curators Bunny McBride, MA, and Dr. Harald Prins, highly regarded scholars and authors of Wabanaki history. This important and enlightening exhibition from the Smithsonian Institution was about the intersection of American Indian and African American people and cultures. IndiVisible: African-Native American Lives in the Americas explored historical and contemporary stories of peoples and communities whose shared histories are woven into the fabric of American identity, but whose presence has long been invisible to many in the U.S. The exhibition shed light on the dynamics of race, community, culture, and creativity, and addresses the human desire to belong. With compelling text and powerful graphics, the exhibition included accounts of cultural integration and diffusion as well as the struggle to define and preserve identity. IndiVisible was developed by the National Museum of the American Indian with the National Museum of African American History and Culture, and organized for travel by the Smithsonian Institution Traveling Exhibition Service. 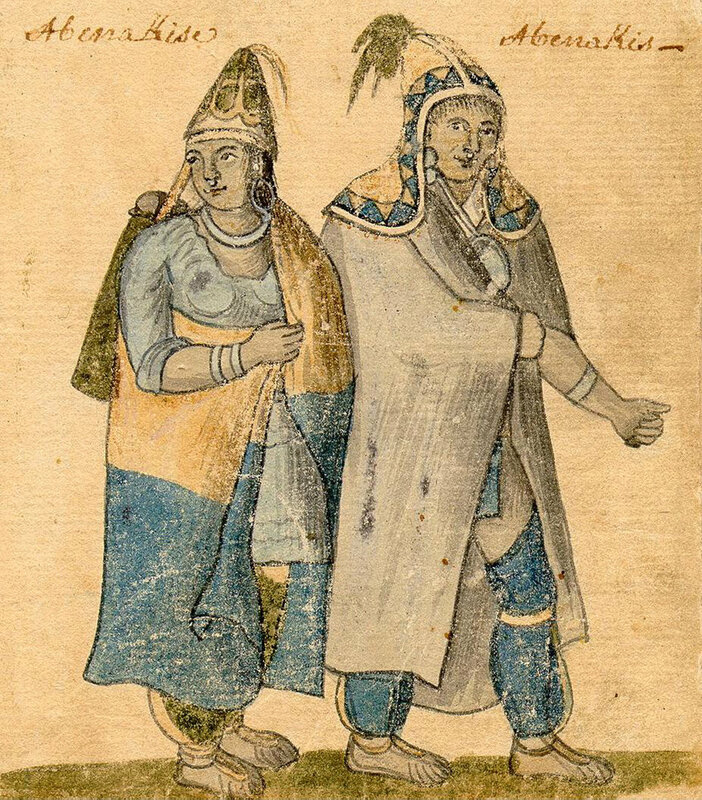 Kikehtahsuwiw is a story about several women in the Passamaquoddy Tribe, residing at both Motahkomikuk (Indian Township) and Sipayik (Pleasant Point). Each of these women shares a common goal: healing their communities. As the carriers of life, they are also carriers of culture and responsible for carrying on their healing traditions. According to Wabanaki oral histories, Kluskap–or Koluskap, Gluskap, Glooskap, and Gluskabe–made the world habitable for human beings and taught people to live wisely. Kluskap stories have been told and retold over many generations, and these legends have always been known to teach lessons of values and the characteristics of the animals and Mother Earth. Kluskap was a positive force with all Wabanaki tribes and people from all the communities have written and illustrated many versions of the Kluskap legends. Through original paintings by Maliseet artist Dozay, Kluskap of the Wabanaki illustrates the various legends of Kluskap and his adventures across the Wabanaki homeland, using landmarks that tell his story. This was Dozay's first show in the U.S.
How did people live in the past? What can we know about their lives and history from the archaeological record? This exhibit followed archaeological research conducted by the Abbe Museum starting in 1928, and considered how excavations at various sites have tried to answer these questions. Through a combination of artifacts, images and text, you were able to explore the questions that were asked and what we have learned during eight decades of archaeological investigations. Layers of Time also featured a variety of hands-on, interactive activities for children and families, letting visitors step into the role of the archaeologist to ask and answer intriguing questions. Many different types of images relating to Maine's Tribal History exist, which are seldom seen except by researchers and scholars In the field. In addition, the general public is seldom given a broader cultural context in which to view them. Providing contemporary poetry, written by Mikhu Paul-Anderson from Kingsclear First Nations, simultaneously altered and reframed the context of those images, in effect, mediating the historical gaze of a marginalized people. The prose that accompanied each image was one method of bringing history into the present moment, supporting another possible view of that history. The connection between past and present is then strengthened, and new ways of understanding history hopefully result. Mikhu Paul-Anderson is a Native American woman, author, and curator of this exhibit and grew up in Old Town, Maine. Native Americans have lived on Meddybemps Lake at its outlet to the Dennys River for at least 8,600 years. The Passamaquoddy people have named this site N'tolonapemk, which in Passamaquoddy means, "Our Relatives' Place." This exhibit told the story of N'tolonapemk through archaeological evidence and the stories and knowledge of the Passamaquoddy people. The scientific methods used by archaeologists, contrasted with traditional Passamaquoddy stories, work together to create a more complete picture and a richer understanding of this important place. 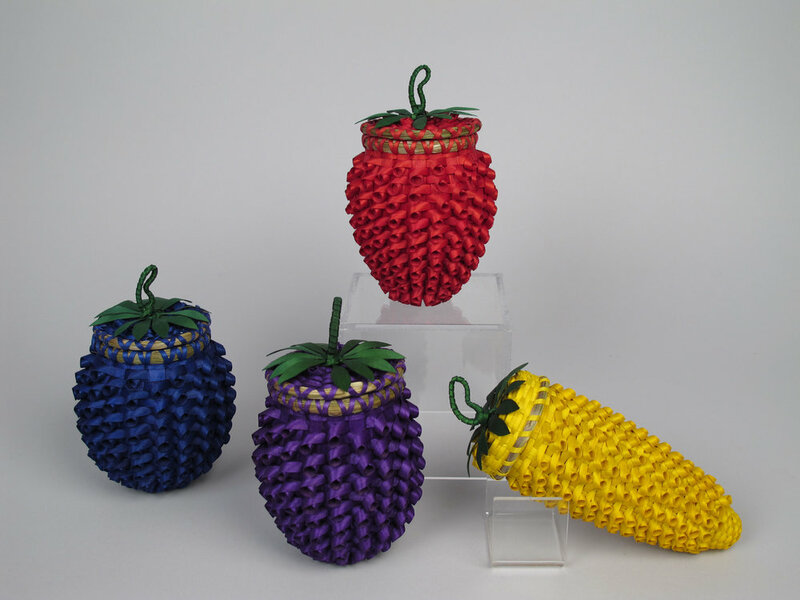 For generations, Native American traditional artists in the Northeast have passed on their culture through beadwork, basketry, birchbark, and woodcarving. Organized and curated by Kathleen Mundell, this traveling exhibition sponsored by Cultural Resources, Inc. presented these traditions through the work and words of more than 35 traditional artists living and working primarily in Maine and upstate New York. In the creative hands of those who continue to practice them, these arts reflect the values and traditions of contemporary communities with each generation recasting old forms into new expressions. People of the First Light, the Abbe Museum's core exhibit, introduces visitors to the Wabanaki universe, engaging them with the culture and history of a people that is unfamiliar to many. Bringing together oral traditions, personal stories, cultural knowledge, language, and historical accounts with objects, photographs, multi-media, and digital interactives, People of the First Light shares a wide variety of content and perspectives around more than 12,000 years of history, conflict, adaptation, and survival in the Wabanaki homeland. 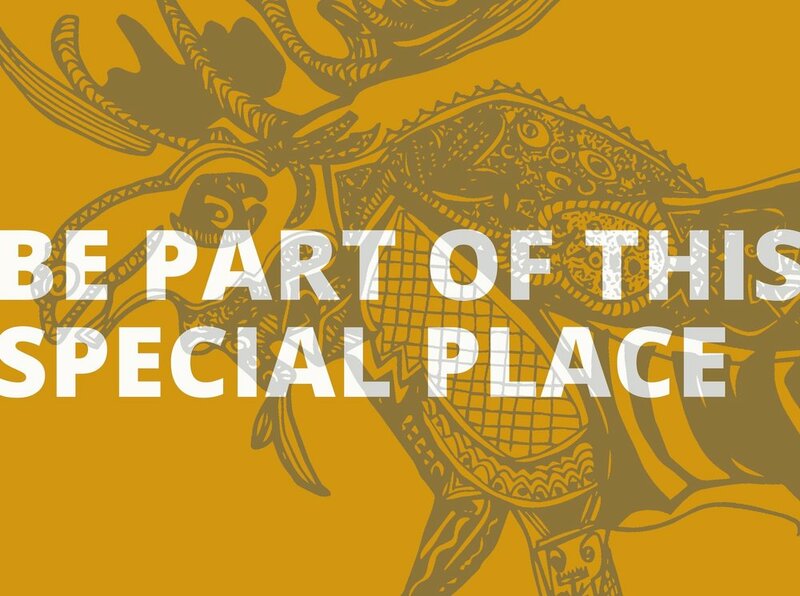 This important exhibit provides visitors with an understanding of Wabanaki history and culture, affirming that there are Native people in Maine and the wider Wabanaki homeland today and that their story is one of more than 12,000 years with no removal history. In 1613, a small group of French Jesuits, sailors and settlers arrived at Mount Desert Island, looking for a place to establish a mission and build trade relations with the Wabanaki. At the urging of Wabanaki leader Asticou, the group chose a spot somewhere around Frenchman Bay to establish their new outpost. Less than three months later, the fledgling settlement was destroyed by English colonists from further south. Echoes of these encounters continue to resound today, in Wabanaki communities, in shaping Maine history and identity, and in our understanding of international relations. The first European residents of Frenchman Bay came and went in a very short time. But this episode is part of a much larger story of Wabanaki-French-English interactions in eastern Maine from 1500 until 1762, when English settlers finally established a permanent settlement on Mount Desert Island. The exhibit brought together current Wabanaki perspectives and historic documents to present multiple perspectives on history, and investigated the debate among historians and archaeologists about where the St. Sauveur Mission was actually located. Native Americans have lived in Maine for thousands of years. Their story begins today and extends back, some say, to time immemorial. Much of their history is based on oral tradition. Wabanaki oral tradition includes origin stories that tell how the People and the world came to be; it also includes stories, tales, and songs that define society and tell people how they should live. In the past, Native people used oral tradition, rather than the written word, to pass on traditional knowledge. Many of the stories were retold and written down in the 19th and early 20th centuries. Today, these transcripts provide a rich resource for Wabanaki storytellers to recreate and teach about traditional culture. Programs to perpetuate and rekindle Wabanaki languages rely on the power of traditional stories for teaching material. The stories build bridges between the past and present and provide a mechanism for cultural continuity. Click on the corresponding links below to visit that specific section of the Timeline. Transcending Traditions featured five contemporary Maine Indian basketmakers representing the next generation: Jeremy Frey, Ganessa (Bryant) Frey, Sarah Sockbeson, Geo Neptune, and Eric “Otter” Bacon. This project explored the new directions that these innovative artists are taking the tradition in the face of environmental and economic challenges. 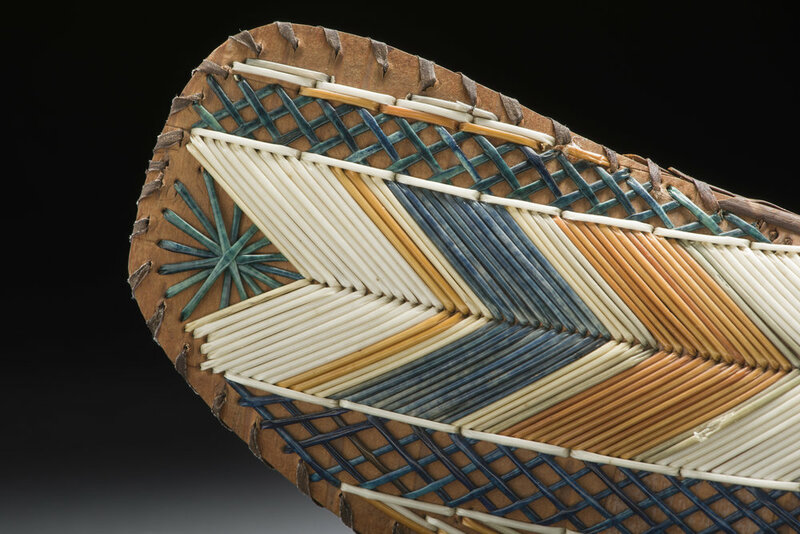 This exhibit was created as a collaboration between the Maine Indian Basketmakers Alliance and the Hudson Museum, supported by a grant from the National Museum of the American Indian's Indigenous Contemporary Arts Program. Throughout North America, Native people balance the importance of tribal identity and knowledge with the non-Native communities that surround them. Art serves as one means of survival, expressing a wide range of emotions and experiences, from hopes and fears for the future, to dreams and anger about the past. Breaking away from stereotypes of Native American art and what is considered "traditional," the work of contemporary Native artists proves that art and culture are not static, but constantly evolving. Borrowed from traditional beadworking, the term "twisted path" is a pattern that meanders along the edge of an object. Here, it is a metaphor for the different paths Native American artists walk as they navigate a complex world. The Twisted Path series was conceived in 2008 by Rick Hunt, Abenaki. This series focuses on creating Maine-based conversations like those taking place nationally about contemporary issues, as expressed through Native art. The Native artists who are invited to participate in Twisted Path are well-known for their artistic talent, activism, and critical commentary regarding social issues related to sovereignty and the environment. Twisted Path: Contemporary Native American Artists Walking in Two Worlds opened in 2009 and featured nationally and regionally renowned artists whose works expressed the complexities surrounding Native identity. Twisted Path III: Questions of Balance opened in February 2014 through December 2014 and invited audiences to consider Native American concerns about the environment through the medium of contemporary art. Artists’ works expressed emotional and cultural reflections on the status of our planet - both comfort from a sense of place and connections to the land, and the conflicts inherent in cultural genocide and pollution of sacred spaces. Read a review of the exhibit here. Twisted Path IV: Vital Signs opened in April 2017 through December 2017 and invited audiences to consider Native American concerns about personal and community health and wellness through the medium of contemporary art. Artists’ works will express emotional and cultural reflections on the human condition in tribal communities. Wabanaki Guides focused on the legacy of Wabanaki people serving as guides for European and American explorers, cartographers, tourists and artists from the 1600s to the present. Visitors were invited along for a simulated canoe ride down a Maine river. The journey shined a spotlight on ways in which Wabanaki knowledge of land and waterways influenced Maine’s early visitors and illustrated how this legacy is linked to the modern-day tribes, tourism, and environmental sustainability in Maine. Visitors “climbed into a canoe with their guide” and began their journey. Along the way, they stopped at “portages” on the river bank. At each portage, visitors learned about the various things a guide needs to consider when planning a trip and what one might expect to encounter along the way. The exhibit focused on the following themes: mapping, tracking, tourism, and economics. Stories and historic accounts from various view points were weaved throughout, incorporating the voices of Wabanaki guides both past and present as well as explorers, artists, and cartographers such as Henry David Thoreau and Joseph Treat. A collaboration of Maine Indian Education and the Abbe Museum. The annual Waponahki Student Art Show brings together a wonderful variety of art created by Passamaquoddy, Penobscot, Maliseet, and Micmac students from early childhood education through high school. The styles, media, and images vary throughout the exhibition, but place, culture, and identity have a strong presence in these original works. Click below to see the most recent catalog of student art. In affiliation with the Smithsonian Institution. This exhibit, a partnership with the Indian Township School, includes students from other Wabanaki communities and promotes increased interest, awareness, and knowledge of astronomy content and Wabanaki oral histories. Students focused mainly on two Passamaquoddy stories: Of the Surprising and Singular Adventures of Two Water Fairies Who Were Also Weasels, and How They Each Became the Bride of a Star, and Possesomuwinuwok: The Star People. By partnering with schools in the Wabanaki communities, students have the opportunity to research, learn about, and photograph the cosmos using telescopes owned and maintained by the Harvard-Smithsonian Center for Astrophysics. This exhibit will be available to view online in early 2018.